If you are in Kathmandu and you are on the way to Lukla, don’t forget to buy energy bars. If you need to buy them on the trek, you will spend 6 times the amount. Because everything you buy in a lodge or small shop has to be shipped by plane to Lukla and transported by donkey, yak or porter to the lodge. Most of the stuff, you can buy on the trek is expired. 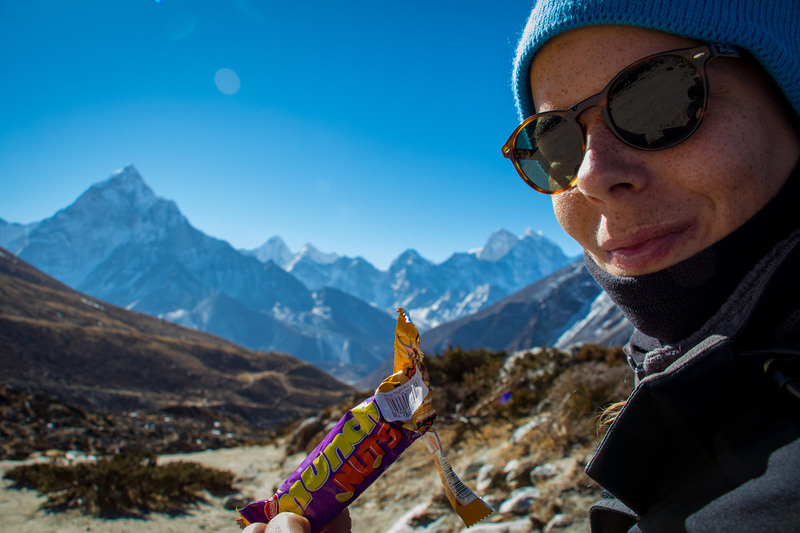 Don’t worry a Snickers at 5000m will still taste amazing, even if expired. We carried our backpacks, and I can’t imagine how hard it must be to carry five times the weight. So if you see porters walking up the hill, clear the way for these amazing people, they are carrying your supplies as well. Electricity is expensive on the EBC so, carrying around your power plant will save you a lot of money, especially if you are hiking with a lot of gear, as we do. (phone, camera, GoPro …) It will cost about 300rs (3$) to recharge your batteries for 1 hour in a lodge. You can save this money and spent it in Mo: Mos or Dal Bhat. 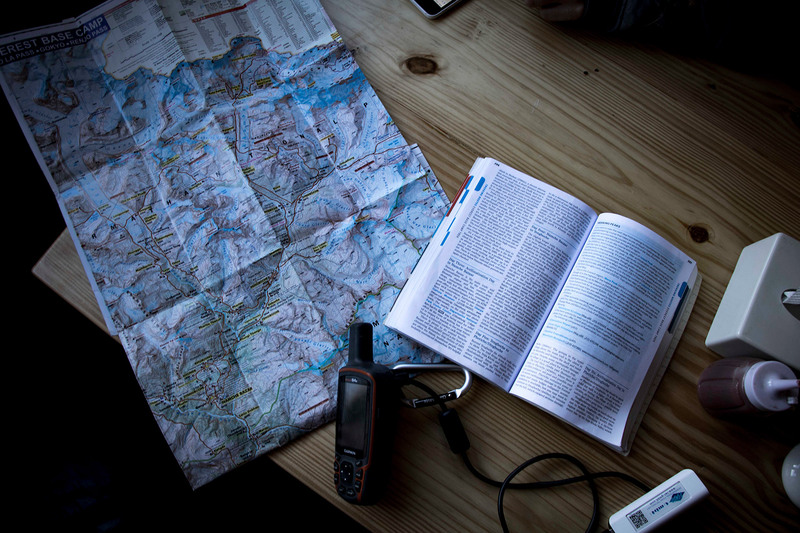 If you are planning to independently hike to the Gokyo Lakes, make sure you have a map or even better a GPS device with you. 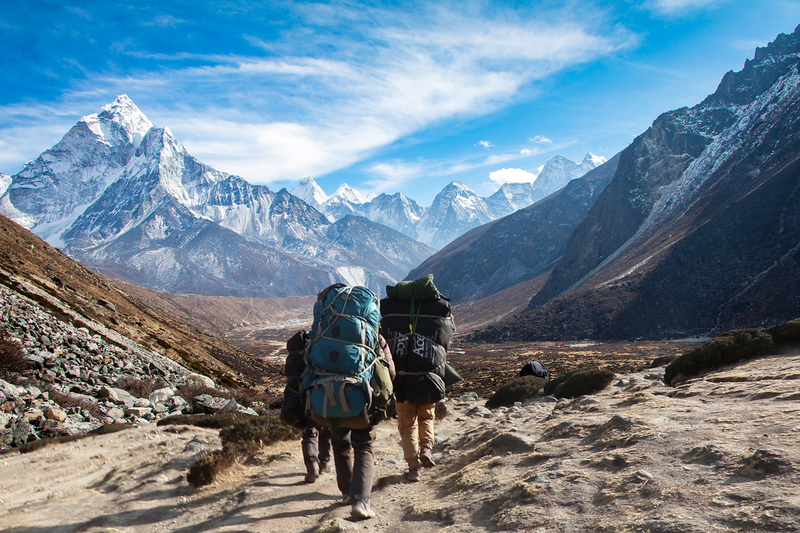 The weather can change in a heartbeat, and the pass is wider than the standard EBC trek. A lot of people get lost in dense fog or snow while crossing the Cho La Pass. You will be at the top of the world so that mountaineering equipment might be necessary. 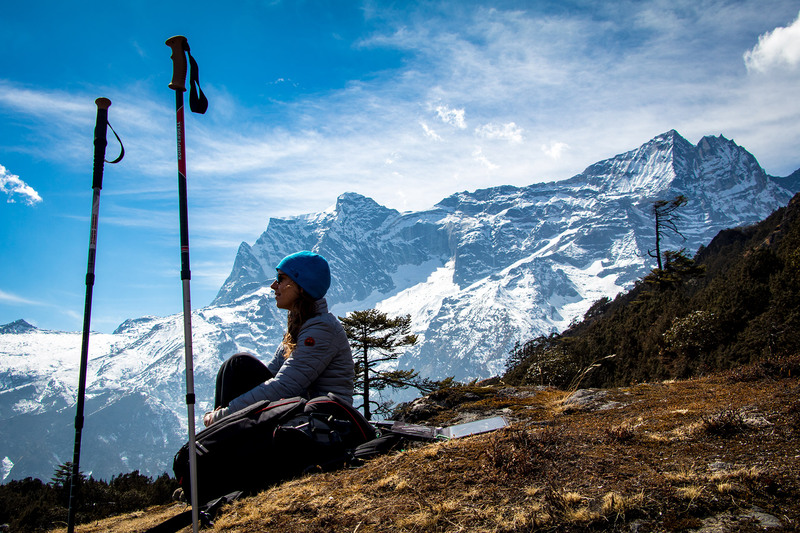 If you are planning to do the Cho La Pass, it would be helpful to have a pair of crampons and hiking sticks. If you ever tried to walk on ice or up a snow-capped mountain, you know how bad it feels if you don’t have traction or a save stand.